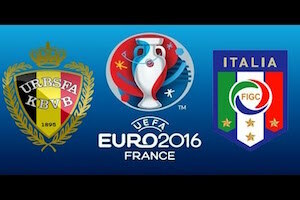 Belgium will play against Italy in the first round in Group E of EURO 2016. Belgium is playing very offensive. Mostly with 4-3-3 formation and players like Hazard, Lukaku, De Bruyne, Origi and Benteke they were able to score in 12 out of their last 13 games in all competitions. Defence is where Belgium have problems. Their captain Kompany and also Lombaerts are both injured. Italy is also playing more offensive under Antonio Conte management. They are very efficient and have scored at least one goal in the last 10 games. In my opinion it will be over 2.5 goals. Still till now all teams play very cautiously their first meetings and only 2 out of 7 are overs. That is why I am taking more secure option here with over 1.5 goals.